My brother and I completed the Manaslu / Tsum Valley Trek with Pradip in April. 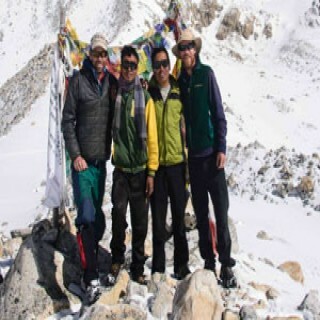 We found Wilderness Excursion; a Kathmandu based Adventure Travel Agency in the internet and took a gamble as we knew nothing about this trekking company. Pradip, Founder Manager and also a trekking guide answered all our questions for the trek we required. It was a great gamble! Pradip was very well organized, knowledgeable about the area and a lot of fun to trek with. I can’t recommend him highly enough. The trek itself is phenomenal. The scenery is beautiful and the area is still relatively less crowded, particularly in the Tsum Valley. I am generally not a big fan of being guided (I like to figure things out on my own) but Pradip added a great deal to the trip by serving as a translator and introducing us to people and cultural experiences that would not have been available otherwise. We liked Pradip so much that we hired him to guide us for two weeks in the Langtang region as well!